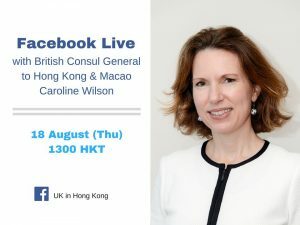 The British Consulate in Hong Kong will be holding a live Facebook session on the 18th August 2016 where you can ask questions to the Consul General Caroline Wilson. Starts at 1pm Hong Kong time. Considering all the tension the live session should be very interesting. Many of the questions are very interesting however they are asking about the past and not about the future and what the BNO passport is going to mean looking forward. Will the BNO passport in some point in time allow Hong Konger’s to live in the United Kingdom in the future with so many uncertainties in Asia. The first question from the top is interesting as it asks: So my question is, why didn’t the British Hong Kongers have any referendum to decide their future before? The question raises a number of issues. Not so much about China but about how the British government viewed their former subjects. It is an interesting question as to why a referendum was never held. Considering that British Nationality Law reviewed by Lord Goldsmith in 2009 had come to a conclusion that it would be more appropriate to grant the BNO holders full British citizenship. All in all Thursday should be an interesting day and hopefully there will be many questions answered.